In this blog I am going to share the details on how to implement sharding in mongodb on Ubuntu with data splitting into shards. 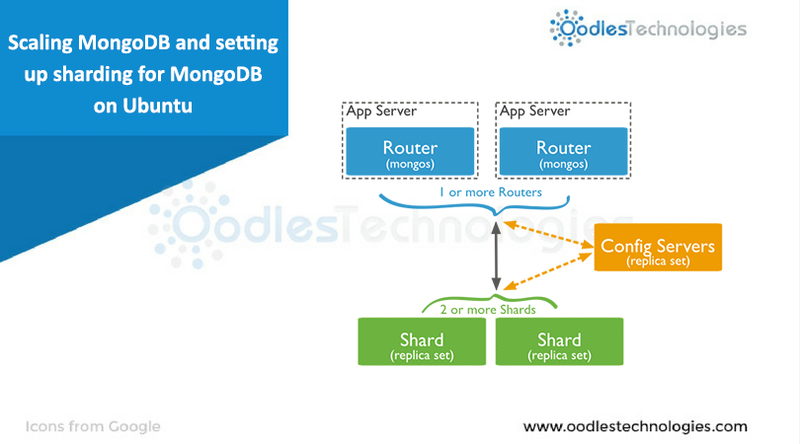 In this blog I have mentioned all the terms related to sharding the mongodb database. "exec start-stop-daemon --start --quiet --chuid mongodb --exec  /usr/bin/mongod -- --config /etc/mongodb.conf;"
"exec start-stop-daemon --start --quiet --chuid mongodb --exec  /usr/bin/mongod -- --shardsvr --config /etc/mongodb.conf;"
"exec start-stop-daemon --start --quiet --chuid mongodb --exec  /usr/bin/mongod -- --configsvr --config /etc/mongodb.conf;"
//Adding shards to the routing server.